THE HARD WORD's Chris Sheedy writes business stories on a regular basis for the SME audience of Business Lounge, the online magazine and information source from Australia Post. Here are a few of his latest. 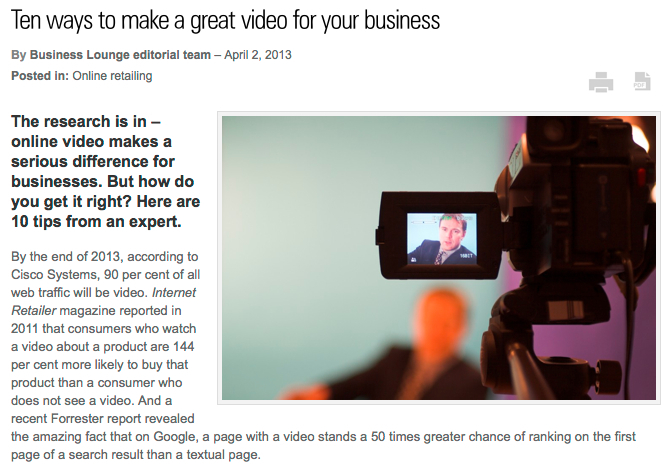 The research is in – online video makes a serious difference for businesses. But how do you get it right? Here are 10 tips from an expert. Few SMBs have the time or resources to put together a full-time board of directors. 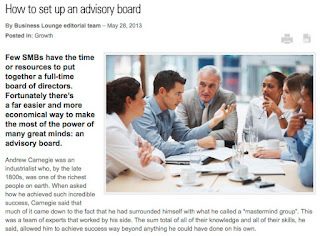 Fortunately there’s a far easier and more economical way to make the most of the power of many great minds: an advisory board. 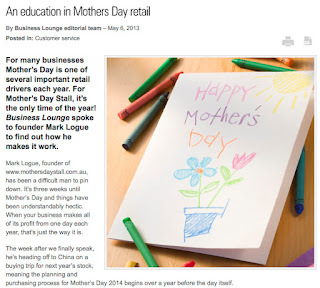 For many businesses Mother’s Day is one of several important retail drivers each year. For Mother’s Day Stall, it’s the only time of the year! Business Lounge spoke to founder Mark Logue to find out how he makes it work.